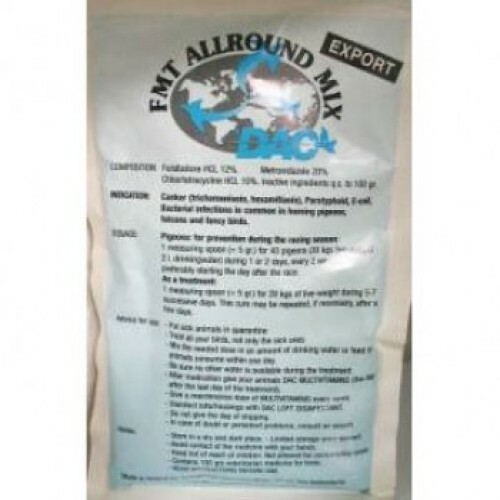 FMT Allround Mix has a broad therapeutic action and is the remedy par excellence for the treatment of canker, bacterial (intestinal) infections caused by gram-positive and gram-negative bacteria (salmonella, E-Coli) and all disease agents which are sensible to the drugs. - 1 g for 4 kilo body-weight in drinking water or over food for 5-7 successive days or as vet. prescribes. Measuring spoon ± 1 and 5 g enclosed.